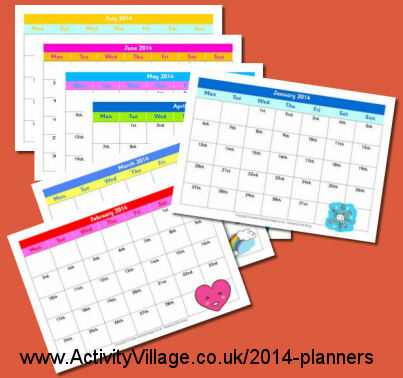 I've had quite a few emails over the last couple of weeks asking when our 2014 planner pages would be ready. Well, here they are! I hope you find them useful. As always, we've got one page per month and lots of colourful, cheerful illustrations.